Provide comfort for the family of Al Farnam with a meaningful gesture of sympathy. Allen Wayne Farnam, 65 of Ashland passed away, Monday, April 15, 2019 in his home. He was born on July 25. 1953 to the late Gary Farnam and Phyllis (née Bartlette) Spierling in Cadillac, Michigan. Al graduated from Benton Harbor High School, Class of 1972. In his earlier years, he was employed with Kentucky Fried Chicken where he earned the White Glove Award. In 1984, Al founded Al Farnam Maintenance LLC., a HVAC Co. that also offers electrical and plumbing services. in Ashland, Ohio. Throughout his 35 year career he has served more than 10,000 customers with continued satisfaction. In 2018 he received the Top Gun Sales award by Armstrong and Famous Supply. Al was currently serving as 4th ward City Councilman having been elected in 2017. He married the former Alice Penelope Sloan on February 10, 2001. Al was a previous member of the Ashland Evening Lion’s Club where he was a Melvin Jones recipient. He was a devoted member of Park Street Brethren Church where he served on the building and grounds committee and was a member of the Christian Heirs ABF Sunday School Class. Al was an active member of Ashland Men Ministry having been involved in many field day events and served as assistant director and a board member. He was also an affiliate of the Ashland County Board of Realtors. Al enjoyed boating, skiing, and fishing with his children. He has been a strong man of faith throughout his life who seldom watched sports. Al was much too interested in taking care of his fellow man, volunteering in his spare time, socializing, and spending time with family and friends always willing to feed everyone. He is survived by his wife of 18 years, Penny Farnam of Ashland; five daughters from a previous marriage, Carla (Bruce) Simpson of Loudonville, Colleen Russell of Ashland, Sarah Keifer of Colorado, Christina (Paul) Morrissey of Ashland, and Candace (Rian) Koch of Ashland; his step-children who loved him deeply, Kim (Dan) Phillip of Ashland and John (Sallie) Usher of Perrysburg; eleven grandchildren, Morghan and Taylor Russell, Bella and Carter Viola, Ivy and Kasey Clark, Corbin Onie, Caiden Morrissey, and Ian, Isaiah, and Iris Koch; five step grandchildren, Bailey (Kirby) Mathias, Rachel (Jared) Province, Sarah (Jordan Anthony) Phillip, Brett Phillip, and Johnny Usher; four step-grandchildren, Giavanna, Kellan, Ronan, and Liza; his siblings, Tena Harris, Jeff, Kevin, and Melissa Spierling, Sheryl Zachary, Shelly Farnam, Vicki Urbas, Gary Farnam II, and Kim Buletta; and numerous nieces and nephews. In addition to his parents, Al is preceded in death by two brothers, Mike and Danny Farnam; and one sister, Tammy Browning. Funeral services will be held, Saturday, April 20, 2019 at 1:00 p.m. in the Jack and Deb Miller Chapel at Ashland University, 456 College Avenue, Ashland, Ohio 44805 with Reverend Harry Strachan and Reverend Nate Bebout officiating. Interment will be in Ashland County Memorial Park. Friends may call prior to the service at the chapel from 10:00 a.m. until the time of the service. A special thanks to Pathway’s Hospice for the care and compassion they have shown to the Farnam family throughout Al’s illness. In lieu of flowers, memorial contributions may be made to Ashland Men Ministry, P.O. Box 236, Savannah, Ohio 44874, or to Park Street Brethren Church, 619 Park Street, Ashland, Ohio 44805 or to Calvary Baptist Church, 210 Davis Road, Ashland, Ohio 44805. 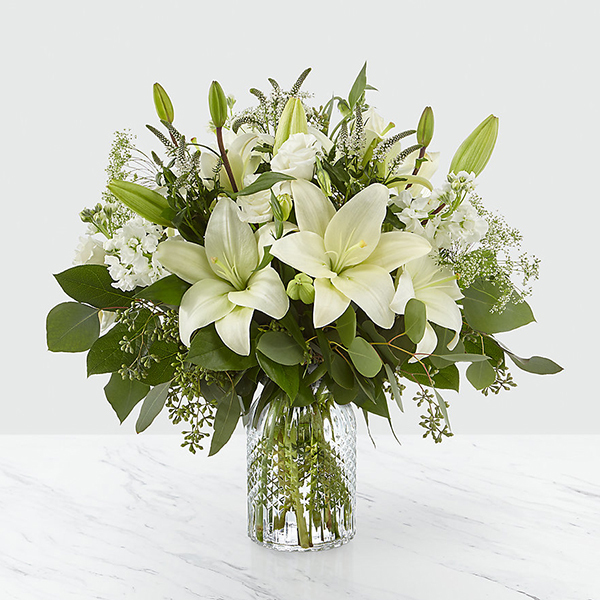 To send flowers in memory of Al Farnam, please visit our Heartfelt Sympathies Store. We encourage you to share your most beloved memories of Al here, so that the family and other loved ones can always see it. You can upload cherished photographs, or share your favorite stories, and can even comment on those shared by others. Love, Don and Diane Dryer, The Casciani Family, and others have sent flowers to the family of Al Farnam. Love, Don and Diane Dryer purchased flowers for the family of Al Farnam. Heartfelt Sympathies Store purchased flowers for the family of Al Farnam.